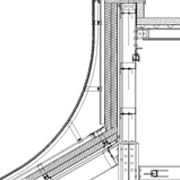 Rossway Safety Systems can assist designers by identifying, eliminating and reducing safety issues by specifying safer products and techniques. The highest risk relating to roof work is from falls from Height.Read about our Safeway Roof Safety Protection System and its benefits. 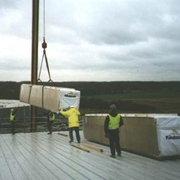 With a history spanning over 50 years of providing specialist services to the construction industry, Rossway’s main core activities are in the provision and installation of roofing, envelope, and cladding systems to the construction market in new build and refurbishment. The Rossway team is committed to recognising the needs of our clients and we have a positive attitude to being innovative; our forward thinking philosophy ensures we are continually investing in our systems and procedures to service all client requirements. With an unparalleled commitment to breaking new ground in construction, Rossway are able to meet the needs of the end user whilst retaining total focus on legislation and the highest safety standards applicable to every project. 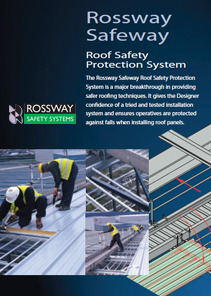 Rossway Dowd undertake a full range of building envelope solutions including standing seam roofing, single ply membrane, twin skin profiled metal, sheeting and composite roof or wall panels and architectural wall panels.